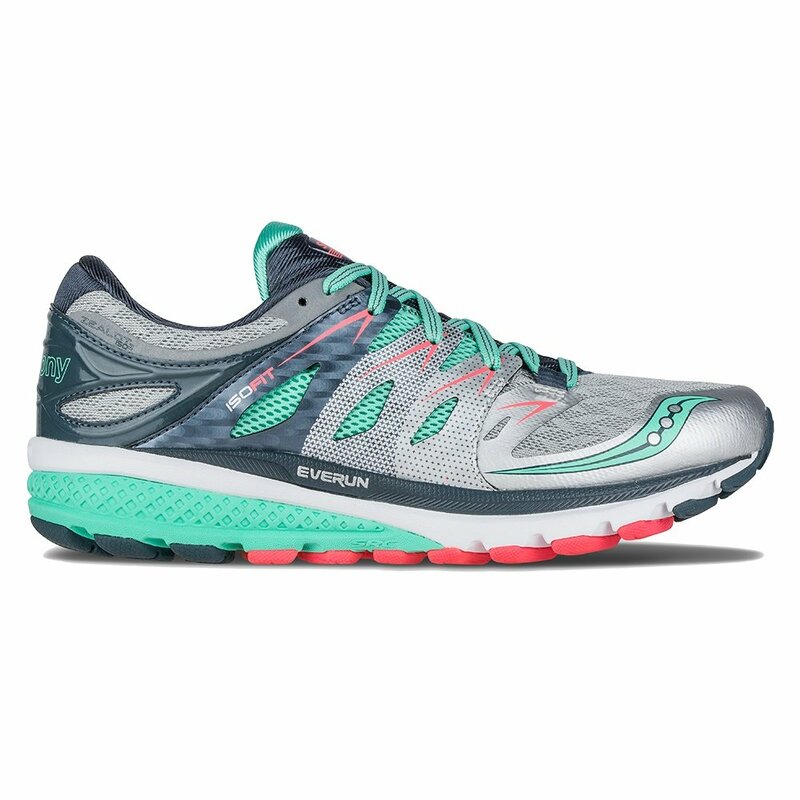 You still get the protection and cushion of an EVERUN Topsole, but you'd be forgiven for thinking that you're wearing nothing when you're wearing the Saucony Zealot 2 Women's Running Shoe. The FLEXFILM™ construction eliminates seams and reduces weight, and the low drop 4mm offset more closely resembles running in bare feet. Up top, the ISOFIT system uses a stretchy sock-like liner to hold your foot, while the laces surround your foot with a free-floating support cage to hold you in place without effecting flex. Floating support cage allows lacing system to move independently of shoe upper, increasing comfort and reducing pressure points.